National park entry fees apply, except for Lime Bay Contact: Parks and Wildlife Service - Seven Mile Beach +61 3 6214 8100 For bookings and information please contact Fortescue Bay on-site caretaker directly on telephone/fax (03) 6250 2433 or email Fortescue.Bay@parks.tas.gov.au Office is often unmanned during the day Fortescue Bay is a secluded bay on the Tasman Peninsula in the Tasman National Park.Visitors to the region will experience spectacular coastal scenery with ragged cliff edges and bushwalks. You can fish, go boating, dive and snorkel in the calm waters. Nearby are pristine beaches pounded by wild surf, wonderful coastal walks and fascinating convict ruins at Port Arthur. There are 41 campsites in total at Fortescue Bay; the campground area has been developed mainly for tent camping but with provision for a small number of campervans. There are clean toilets, fresh cold water and fireplaces with firewood for sale. There are gas barbeques in the day use area. 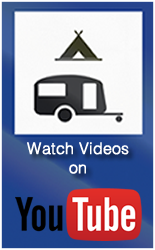 At Mills campground you can drive your vehicle to your campsite; the walk to the beach is app. 400m. Banksia Campground has bollards around the camping area, meaning you need to you park your car and carry your equipment to your allocated campsite. There are a few sites allocated to caravans and campervans - Banksia campground does not have views of the Bay but is also only a short distance to the beach. Gas barbecue in day use area. National parks passes available from caretaker, 24 hour park passes available at self-registration box near campground information board. Caravan access available. The Tasman National Park is in South West Tasmania and protects diverse forest and spectacular coastline from Cape Surville to Waterfall Bay and Fortescue Bay and from Cape Hauy to Cape Pillar and Cape Raoul. The park incorporates several off-shore islands, including Fossil Island, Hippolyte Rocks and Tasman Island. 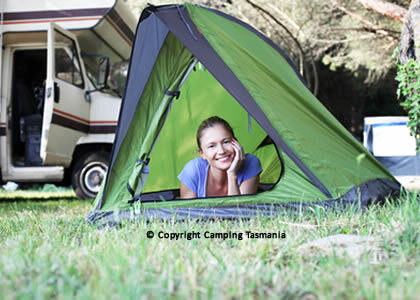 Camping is popular in this region at Lime Bay, Fortescue Bay and the Tasman National Park.